The Biomedical Sequencing Facility offers a broad range of NGS-related services, including library preparation (genome, epigenome, transcriptome, single-cell sequencing, etc. ), sequencing of custom libraries (Illumina NovaSeq/HiSeq 4000/Next/MiSeq and Oxford Nanopore platforms), and bioinformatic data processing. A detailed list of prices and services is available for download / available on request. In addition, we are happy to advise and contribute our expertise regarding study design (e.g. how many replicates), protocol selection, bioinformatic analysis etc. We can also provide quotes for grant applications. 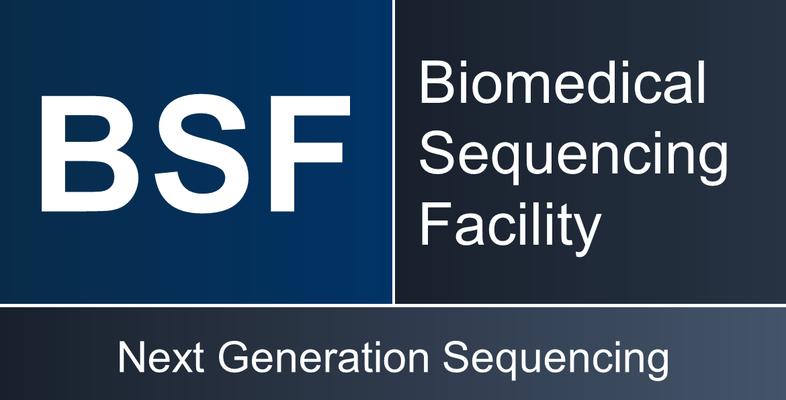 Please feel free to contact us at bsf@cemm.oeaw.ac.at with any NGS-related questions. The BSF offers library preparation for whole genome, targeted genome, transcriptome, epigenome and single-cell NGS projects. For large-scale NGS projects the BSF is equipped with a pre- and post PCR high-throughput liquid handling system as well as with a 10x Genomics Single Cell Controller for ultra high-throughput single-cell transcriptomics. For genomic research, the BSF uses the latest Illumina NGS technology, including the NovaSeq 6000 for highest throughput and cost efficiency, the HiSeq 3000/4000 for high throughput, the NextSeq 550 for a combination of high sequencing throughput and flexibility and the MiSeq for hotspot gene panels and other small-scale applications. The BSF preprocesses sequencing data and offers a basic bioinformatic analysis. 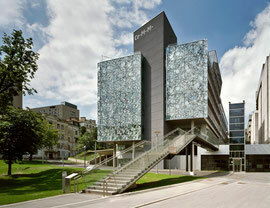 Furthermore the BSF is supported by a powerful scientific computing cluster that is upgraded annually to keep pace with steeply increasing amounts of data generation (current status: >100 CPUs, >1,000 cores, >10 TB memory, >1,000 TB storage).